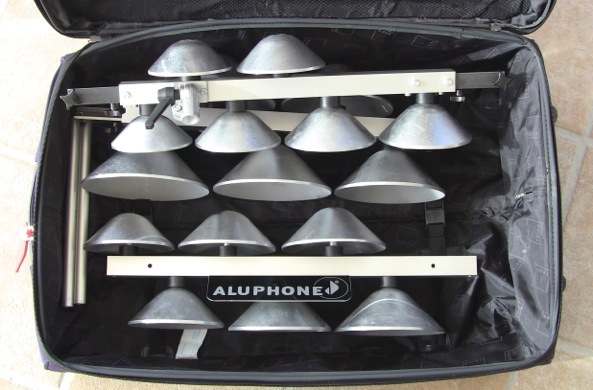 Glennie Travel | Aluphone - Tuned percussion for percussionists. The Glennie Travel is a version of the Glennie Standard. You can divide it into three parts and it fits easily into you baggage. You can bring it on your next fligt, the weight is only 12 kg. 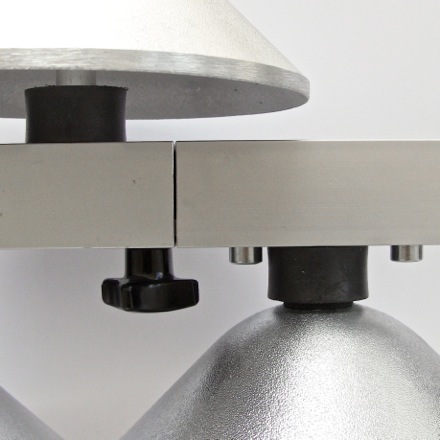 The instrument comes with an adjustable mounting system, designed for use in conjunction with regular cymbal stands. 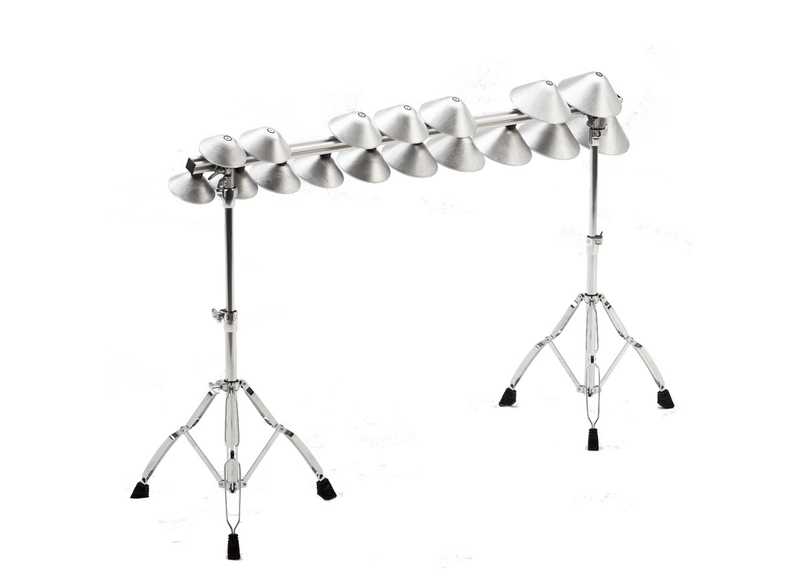 Flexible height and angle adjustment make it perfect for use with other percussive instruments in a multi percussion setup. the bass and high tone modules and you have the full 2 ½ octave range.